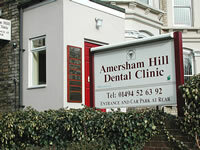 I would like to welcome you to my referral practice in Implant Dentistry. This site has been designed to give patients and referring dentists information on dental implants, the facility and procedures. I believe in offering a dedicated and professional service to referred patients. Implant dentistry is a rapidly expanding field with many innovations and advances constantly reported. My treatment philosophy is based on evidence-based procedures that offer a predictable replacement to missing teeth using dental implants. I hope that you find this site useful and invite any comments you may have. Internet Dental Marketing & Dentist Websites by Dental Focus Web Design.